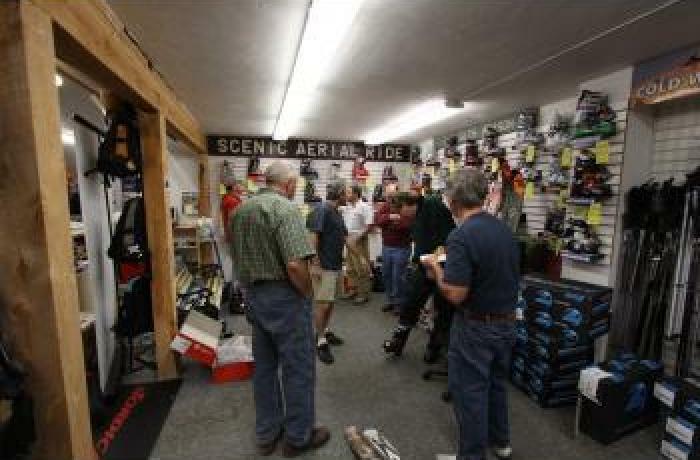 Bob Skinner's Ski & Sport Shop has been serving Mt. Sunapee skiers for nearly half a century-almost as long as the ski area itself has existed! Owned and managed since 1985 by long time Sunapee local and former U.S. Ski Team racer Frank McConnell, Bob Skinner's carries the region's most extensive line of retail and race stock ski gear in the winter and a wide selection of O'Brien watersports and bikes in the summer. The shop has a long history of boot fitting specialization. Using Instaprint custom insoles and a vast collection of stance alignment tools and equipment, we can adjust your equipment to harmonize perfectly with your physiology, optimizing your performance, balance and comfort. We are experts in improving performance through better fit in all sports including skiing, snowboarding, hiking, cycling-or any athletic endeavor in which you may participate. With our state-of-the-art boot lab we can customize all kinds of footwear ensuring that whatever you do, you'll do it better and with more comfort.